A new explosive eruption occurred at Bogoslof volcano that lasted for about 30 minutes and produced a cloud that rose as high as 20,000 ft and drifted northeast as seen in satellite images. Last night’s event was first detected by seismic stations on neighboring Umnak Island, and was also seen in more distant infrasound sensors. As a result of the recent pattern of Bogoslof, the likelihood of continued eruptions remains high keeping the Aviation code at RED and Volcano Alert Level at WARNING. The explosive event was preceded by 4 ½ hours of elevated seismic activity from Bogoslof, providing some indication an explosive eruption was imminent. Other explosions during the eruptive sequence have started more suddenly with either subtle or no preceding increase in seismicity. Because a local geophysical network does not monitor Bogoslof, the Alaska Volcano Observatory (AVO) is using seismic and infrasound (airwave sensors) on neighboring Umnak and Unalaska Islands to monitor activity. In addition, we are using satellite imagery and information from the Worldwide Lightning Location Network to identify volcanic lightning; lightning strikes in the erupted plume have been detected during the current eruptive sequence. As a result of natural disasters occurring more often (no surprise for us paying attention), I find myself engaged in the onsite events more often, and less available to maintain my alternative ventures keeping SOC healthy. But thanks to my wife’s exorbitant creative thinking, I believe we found a way to stay on top. Between now and January 1st 2017, by donating $10 you will be grandfathered into a full one year membership. Beginning January 1st 2017, we will be going back to our annual memberships starting at $34.95 per year. Yes, this is to say with just $10 you will have a full membership for the next full year of 2017. 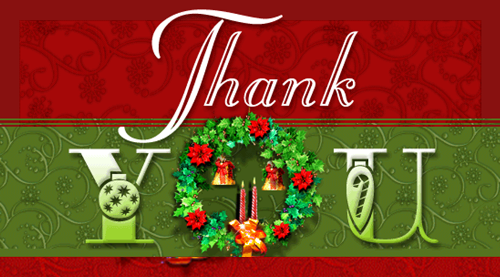 For those of you who can do a bit more, we graciously appreciate when you can provide larger amounts – it truly goes a long way in keeping us alive and well. 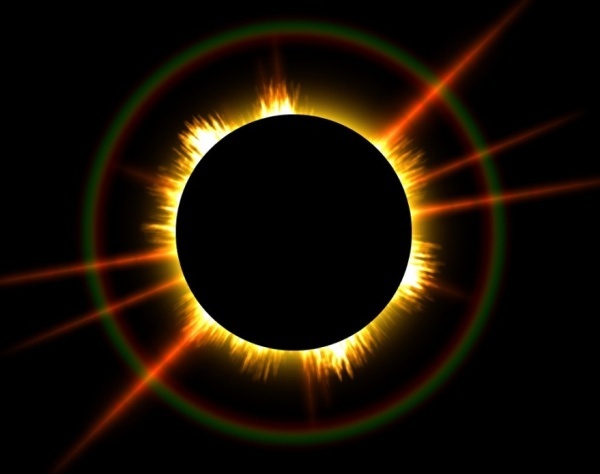 The big astronomy story for 2017 will be the Great American Total Solar Eclipse of August 21. But there are plenty of other must-see events that you should add to your calendar for the coming year. However, it will be also be a great year for meteor showers. As 2017 kicks off, watch for a good shower known as the Quadrantid meteor shower. The annual event runs from Dec. 30 to Jan. 12, and peaks before dawn on Wednesday, Jan. 4. The source material for these meteors is an asteroid that’s designated as 2003 EH. The average hourly rate is about 25, but during the short, intense peak period, you might see more than 100 per hour! The Quadrantid meteor shower is named for a former constellation called the Mural Quadrant, which was located between Hercules and the tip of the Big Dipper, so Quadrantid meteors will appear to be traveling away from a location in the northeastern sky below the Big Dipper. This year, the moon will be a waxing crescent on the peak dates and will not be in the sky before dawn, giving us a darker sky and a better show. On the peak night of Aug. 11 to 12, the sky for the popular and prolific summertime Perseid meteor shower will be washed out by a waning gibbous moon, spoiling the fun. But 2017 will end in good form with the Geminid meteor shower, which runs from Dec. 4 to 16 and peaks overnight on Dec. 13 to 14, when we can expect to catch as many as 100 meteors per hour. On the peak date of one of the best showers of the year, the moon will be a waning crescent that rises just before dawn, leaving us with nice dark skies for seeing the show. The Geminids are often bright and intensely colored, and slower-moving than average. Unlike most meteor showers, the source material is thought to be an asteroid (called 3200 Phaethon) and not a comet. This means that the debris is likely larger and more solid giving us more spectacular meteors. The radiant is located near the star Castor in Gemini, sitting in the southwestern sky after midnight. Meteor showers are a terrific excuse to get out under the stars and take in the splendor of the sky as you wait for the shooting stars. The showers are produced when the Earth travels through debris fields that are left behind by repeated passages of periodic comets. The debris particles burn up in our atmosphere, creating streaks of light, or “shooting stars.” Showers can last for several days, or many weeks, depending on how spread-out the region of debris is. The number of meteors per hour climbs to a peak value, known as the zenith hourly rate, or ZHR, as we approach the densest portion of the debris field, and then tapers off. 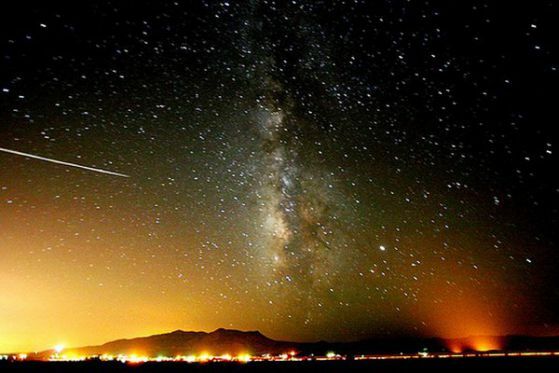 Meteor showers repeat on the same dates every year, when the Earth returns to the same place in its orbit. 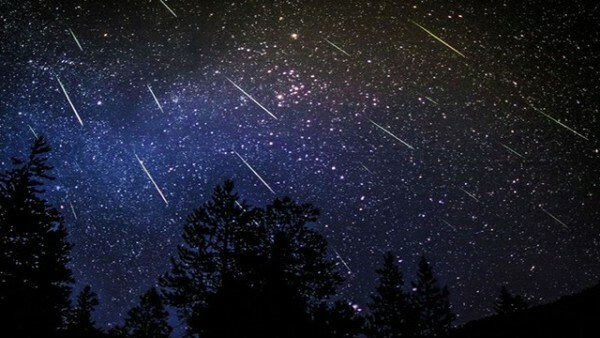 During the shower period, you can look for meteors anywhere in the night sky, but they will be traveling away from a particular location in the sky that corresponds to the Earth’s direction of travel (just as bugs splatter on a car’s front windshield). This radiant point is usually near a particular star or constellation, and it gives the shower its name. The best time to look is when your sky overhead is plowing straight into the cloud of debris that generates the shower, usually after midnight. More meteors are visible if the sky is dark, so the moon plays a major role in determining how good a shower will be each year. Astronomy apps like SkySafari 5 Plus for iOS and Android have information about all of the major showers. 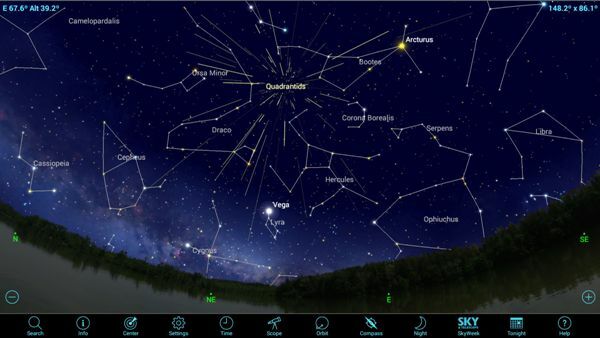 You can also download the free Meteor Shower Calendar app for Android and iOS, or the American Meteor Society Meteors app for Android and iOS. The calendar app issues notifications of upcoming showers and includes weather forecasts, moon phases and historical data. The achievements of astrophysicists this year were as groundbreaking as they were varied. From reuniting a lander with a mothership on a comet, to seeing the most extreme cosmic events with gravitational waves, 2016 was truly out of this world for science. Here are some of the highlights of the year that was. The spectacular announcement that ripples in the very fabric of spacetime itself had been found (and from surprisingly massive black holes colliding) sent similarly massive ripples through the scientific community. The discovery was made using the Laser Interferometer Gravitational-Wave Observatory (LIGO) and represents a fundamentally new sense with which to see the universe. The gravitational waves cause one arm of the LIGO detector to stretch relative to the other by less than a thousandth of the width of a proton in the centre of the atom. Relatively speaking, that’s like measuring a hair’s-width change in the distance to the nearest star. This discovery was the end of a century-long quest to prove Einstein’s final prediction that these gravitational waves are real. It also allows us to directly “see” that famously and fundamentally invisible entity: the black hole (as well as definitively proving its existence). The fact that the two black holes collided 1.3 billion years ago and the waves swept through Earth just days after turning the detector on only add to the incredible story of this discovery. The year started so well for SpaceX with the incredible achievement of sending a satellite into orbit, which is no mean feat itself at such low cost, before then landing that launch rocket on a barge in the ocean. A seemingly unstoppable sequence of launches and landings made it appear that a new era of vastly cheaper access to space through rockets that could be refuelled and reused was at hand. Unfortunately, with the explosion of a Falcon 9 on the launchpad, the company was grounded, but apparently hopes for a resumed launch in early January. Add to that the visionary plans to settle Mars outlined by Elon Musk, albeit not without some audacious challenges, and it’s been a year of highs and lows for SpaceX. Proxima Centauri is our Sun’s nearest neighbour at just over four light years away, and it appears that its solar system may contain an Earth-like world. Until this year, astronomers weren’t even sure that any planets orbited the star, let alone ones that might harbour the best extrasolar candidate for life that spacecraft could visit within our lifetime. The planet, creatively named “Proxima b”, was discovered by a team of astronomers at Queen Mary University in London. Using the light of Proxima Centuari, the astronomers were able to detect subtle shifts in the star’s orbit (seen as a “wobble”), which is the telltale sign that another massive object is nearby. While Proxima Centuari is barely 10% the size of our Sun, Proxima b’s orbit is only 11 days long, meaning it is very close to the star and lies just within the so-called habitable zone. However, follow-up with either Hubble or the upcoming James Webb Space telescope is necessary to determine if the exoplanet is as well suited for life as Earth. With a potential Earth twin identified in Proxima b, now the challenge is to reach it within a human lifetime. With the breakthrough initiative starshot, which has been funded by Russian billionaire Yuri Milner and endorsed by none other than Stephen Hawking, lightweight nanosails can be propelled by light beams to reach speeds up to millions of kilometres an hour. Such speeds would allow a spacecraft to arrive at Proxima b in about 20 years, thus enabling humans to send information to another known planet for the first time. However, there are many challenges ahead, such as the fact that the technology doesn’t exist yet, and that high-speed collisions with gas and dust between stars may destroy it before it can reach its target. But humans have proven to be resourceful, and key technology is advancing at an exponential rate. Incredibly the idea of sailing to another world is no longer science fiction, but rather an outrageously ambitious science project. Perhaps, aliens are already sending out their own information in the form of radio transmissions. In another breakthrough initiative called Listen, also championed by Hawking, astronomers will be searching the habitable zones around the million closest stars to try to detect incoming radio transmissions. Involving Australia’s very own Parkes telescope (as well as the Green Bank Telescope and Lick Observatory at visible wavelengths of light), observations have been running through 2016 and the search for alien signals will continue for the next decade. In 2014 the Philae lander became the first space probe to land on a comet, and even though its crash landing dictated that its science transmission would be a one-off, its recent rediscovery by Rosetta has allowed it to continue to contribute to analysis of comet 67P. Philae’s crash location, as well as the orientation of the doomed probe, has allowed astronomers to accurately interpret data taken by Rosetta regarding the composition of the comet. While Philae has literally been living under (crashed on) a rock for the past two years, Rosetta has been the busy bee, taking numerous images, spectroscopy and other data of the comet. In fact, data taken from Rosetta’s spectrometer has been analysed and revealed that the amino acid, glycine, is present in the comet’s outgassing, which breaks away from the surface of the comet as it becomes unstable from solar heating. Glycine is one of the fundamental building blocks of life; necessary for proteins and DNA, and its confirmed extraterrestrial confirms that the ingredients for life are unique to Earth, and that we may have comets to thank for providing our microbial ancestors with those crucial ingredients. The future for astrophysics in Australia in 2017 looks particularly bright, with two ARC Centres of Excellence: CAASTRO-3-D studying the build of atoms over cosmic time; and OzGRav exploring the universe with gravitational waves; as well as SABRE, the world’s first dark matter detector in the Southern Hemisphere, installed by end of the year. If you thought 2016 was a great year in space, then you’re in for a treat in 2017. “Mitch Battros is one of those amazing individuals that has taken as his mission to disseminate on a broad scale information of great relevance that otherwise might have remained hidden in the archives of specialized scholars. With his great understanding not only of spiritual undercurrents, but also of science, he builds bridges between science and spirituality as well as between ancient wisdom and modern knowledge and makes them accessible to a broad range of people. 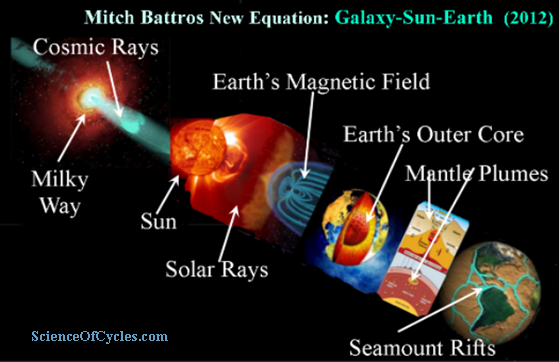 Mitch Battros has presented us with a well researched study of the origin of these phenomena and we are being brought into a world of richness that I for one hardly knew existed before-the Sun. Dr. Gerhard Loebert, recipient of the Needle of Honor in astrophysics, designer of project “Firefly” 2nd generation stealth fighter, published post-Einsteinian theory of gravitation. 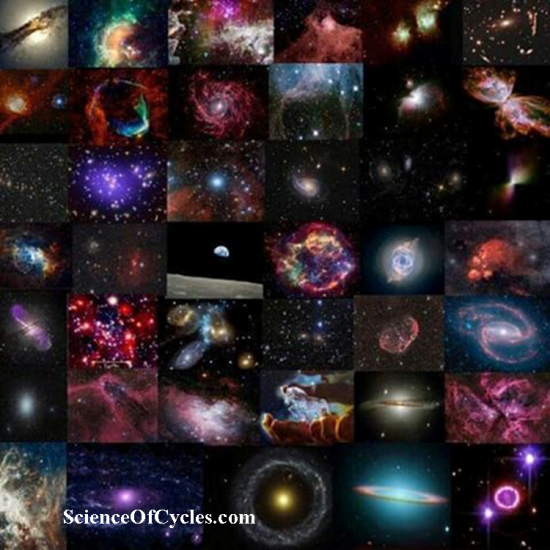 Arnie Rosner, Amateur Astronomer – owner rent-a-scope inc.
Join me Sunday January 8th on the nationally syndicated radio show C2C as I will be presenting the latest research on the Galaxy-Sun-Earth connection. 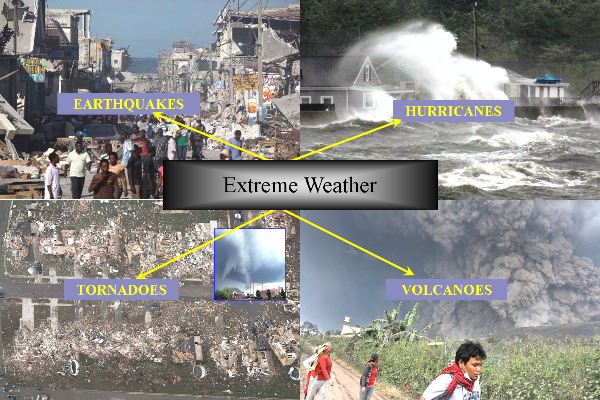 Host Richard Syrett and I will also discuss the latest trends involving earthquakes, volcanoes, hurricanes and various extreme weather events. Additionally, I will bring forward the latest research challenging the often misunderstood meaning of climate change, which includes the latest findings as it relates to charged particles such as galactic cosmic rays, gamma rays, and solar rays. 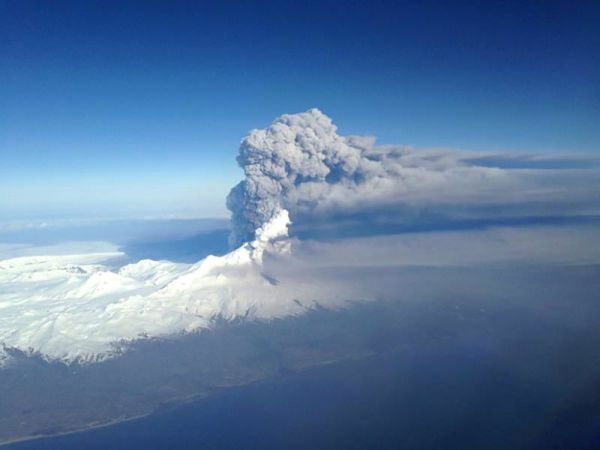 For the second straight day, the Alaska Volcano Observatory issued its highest alert level for aviation when a volcano erupted with a towering ash cloud in the Aleutian Islands. Observatory volcanologist Robert McGimsey says yesterday afternoon’s eruption of the Bogoslof volcano was “almost a carbon copy” of an eruption 24 hours earlier. He says both eruptions prompted the highest alert level, “Red Alert” for Aviation and level “Warning” for Volcano Activity Notice, then hours later by one level. 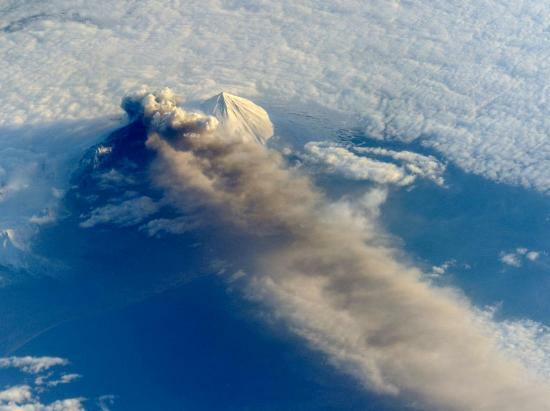 The first eruption sent ash and steam 34,000 feet into the air, while the second burst went 1,000 feet higher. Officials say both volcanic explosions were also short-lived. The observatory said early Thursday that it was reducing the alert level because there had been no recent volcano activity. 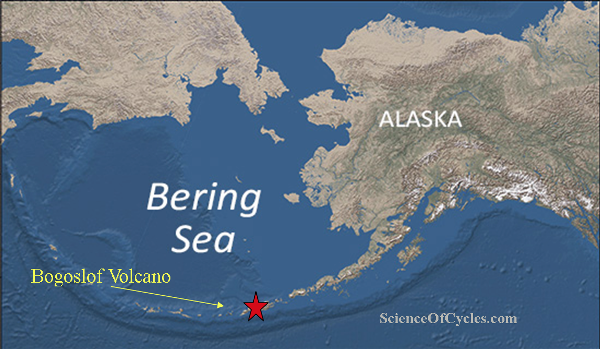 The volcano is on an island of the same name in the Bering Sea about 850 miles southwest of Anchorage. Recent satellite imagery shows that this eruption dramatically changed Bogoslof Island, and that a new, small island has formed just offshore of the northeast end of the main island. The former shore and much of the northeast side of Bogoslof Island adjacent to this island has been largely removed, and deposition of material has occurred on the west side of the island. The excavated area of the former northeast shore is likely the vent for this recent eruption, which appears to be just below sea level. An international team of astronomers, including astronomers from the Australian National University (ANU), has found one of the largest superclusters of galaxies in the universe. The supercluster was named the Vela supercluster. The Vela supercluster is a neighbor of the Milky Way. 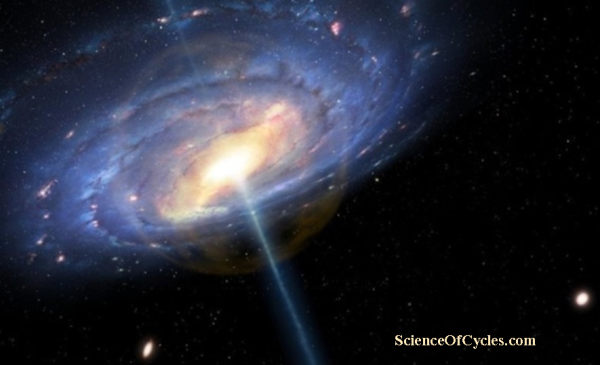 Scientists did not detect it before because it was hidden by the Milky Way’s stars and dust. Now astronomers realize that this supercluster is also influenced by the motion of the Milky Way. To confirm that the Vela supercluster was really a supercluster, the team including astronomers based in South Africa, Australia and Europe used the Anglo-Australian Telescope. This also helped estimate Vela’s effect on the motion of our own galaxy. Furthermore, there will be two new Australian surveys that will be conducted to confirm the size of the Vela supercluster. These surveys would begin next year. “The Taipan optical survey will measure galaxy distances over a bigger area around Vela while the WALLABY radio survey will be able to peer through the densest parts of the Milky Way into the supercluster’s heart,” Colless explains. In September, astronomers also released the most precise and detailed sky survey of the Milky Way to date. The map is composed of 1.15 billion stars, a task that took a thousand days to finish. The accomplishment was made possible by the Gaia spacecraft, which was launched on Dec. 19, 2013. The map was made by researchers from 25 European countries.